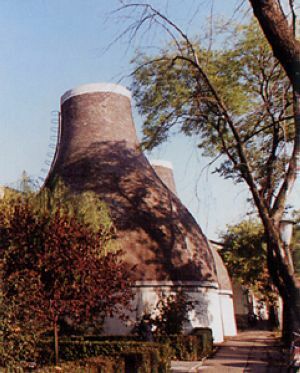 The town is the cultural and economic centre of the Jászság region and the Jász people. It is situated 80 km from Budapest, 40 km from the Mátra hills, surrounded by the river Zagyva. The town with about 28,000 inhabitants has special geographical, ethnographical and historical features being situated on the north-western edge of the Great Hungarian Plain. Jazygians of Iranian origin settled down in the region along the rivers Zagyva and Tarna along with the Cumans in the 13th century. The Hungarian kings donated privileges to the Jász people. After the Turkish rule, in 1702 emperor Leopold I sold the territory to the Teutonic Knights. As a result, the Jász people lost their privileges. In 1745 they collected half a million Rhenish gold forints using their own resources and paid it to the treasury. In return, Maria Theresa gave back their privileges and land to them. This was the so-called Redemptio (redemption). The position of the town became stronger after 1745 and it started to develop quickly. This development was slowed down by the fact that the Jászkun-Tripartite District, the centre of which was Jászberény, was terminated in 1876. The Jász Museum founded in 1874 is one of the oldest museums of Hungary. It houses a permanent exhibition, which presents detailed information about the events of the past. 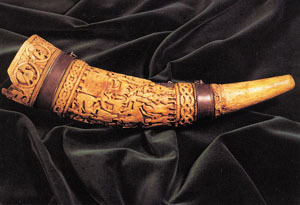 Our national relic, the symbol of the town Jászberény, the Lehel horn can be seen here. The town is rich in listed monuments, public statues and works of folk art. 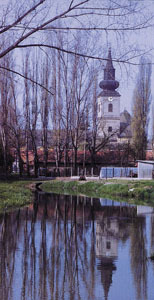 There are several possibilities for the visitors to spend their free time: the Jász Museum, the regular and temporary exhibitions of the Hamza Collection and the Jász Gallery, the Thermal bath, open air baths, several sport facilites, riding facilities, the Zoo and Botanical garden and nature conservation areas such as the Hajta-marsh, "Zagyva menti" (along the river Zagyva) and "Borsóhalmi". Outstanding events: the "Jászberény Summer Feast Days", which is a popular series of programmes aiming to preserve the cultural heritage, International Folk Dance Hall and Musicians' Camp, Csángó Festival, Folklore Festival, the Jász Expo, International Honey Fair and Beekeepers' Meeting, classical and pop music programmes, sports events. All these programmes are popular and attract thousands of visitors from Hungary and abroad.